Great leisure, duck hunting, cattle ranch in Wharton County, Texas. This 192.76 acre ranch has it all. 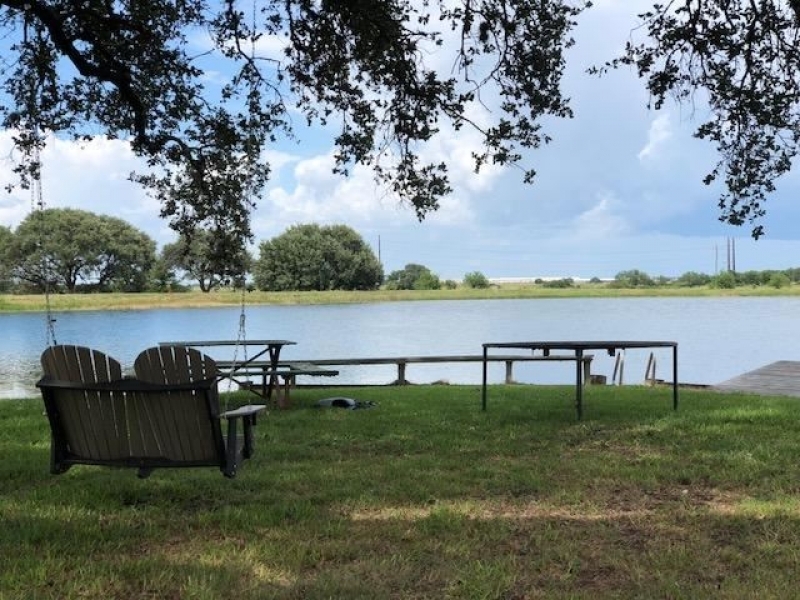 Located near Lane City, TX, this property has a 3 bedroom 2 bath home with covered patio and beautiful mature oak trees overlooking a 2.6 acre stocked pond which is perfect for fishing, swimming or just sitting back and enjoying the views. With Paved County Road 118 frontage, it is in close proximity to Wharton, Bay City, Sugar Land, The Gulf of Mexico and less than an hour from Houston. The pastures are in improved grasses are fenced and crossed fenced and have been precision leveled with a 10 water well with 5 risers to each pasture for irrigation. There is also one small livestock water well and a domestic water well. With a 16 acre duck pond, this allows for perfect duck and/or goose hunting. This area is in the top duck and goose hunting area of Texas. There are also two separate storage barns, working pipe cattle pens and is ag exempt.